Geese on the Island of Anglesey - Ynys Mon. 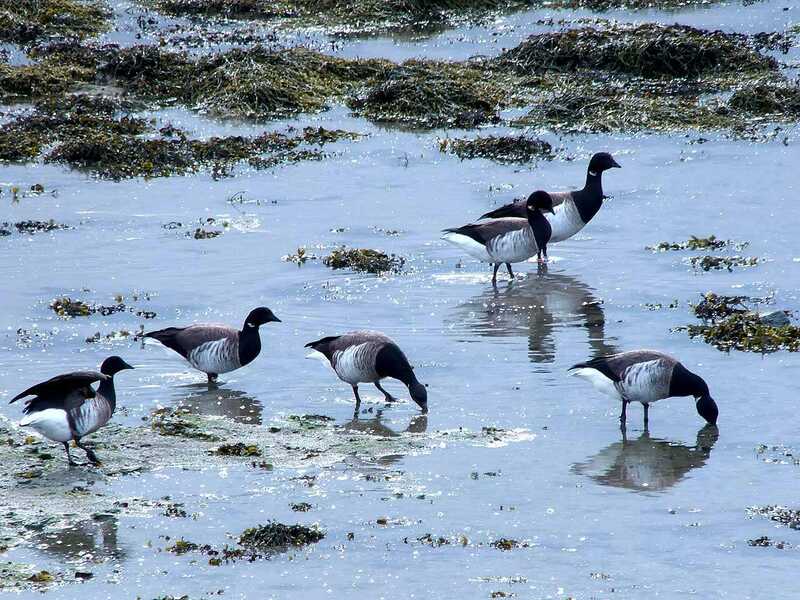 I spotted this small flock of Black Brant Geese in the sea at Holyhead - I didn't recognise the species so researched it on the internet - indeed, this rare goose (115,000 worldwide) is a very welcome visitor to our island. 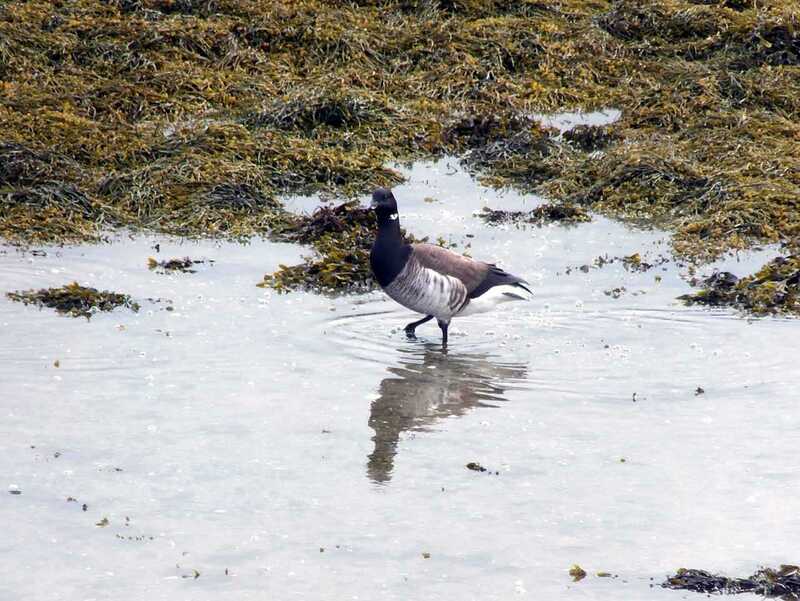 I believe they are sometimes known as the Black Brent Goose. Over 12% are believed to be killed each year by hunters!